Do I have to go to another estate sale? 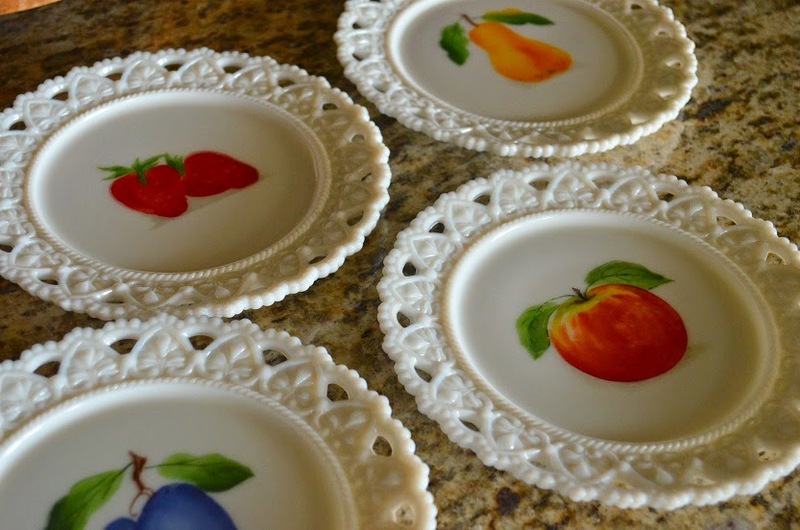 Am I in need of more milk glass plates? The answer to those questions is absolutely yes probably not. I have a feeling my hoard collection of old things cause our friends to say things like, and I quote, "Your house is like my Grandmother's" or "it's like a museum in here." Some may view those comments as negative; however, I choose to believe that people feel like our home is welcoming and they that appreciate I am a curator of historical items - artifacts, if you will. Yes. That will do quite nicely - I am a curator NOT a hoarder. On my latest outing to an estate sale, I picked up a few things covered in filth. Sometimes, to get the prime, you have to sift through the grime. The people running the estate sale said the lot came from the nastiest house they had ever seen. The items were then moved to a separate location for the sale. You cannot imagine the stench emitting from the furniture and linens; it was almost unbearable. Almost. Remember this list of ways to use an old toothbrush? Well I forgot to mention one very important use. Look how each little indent, nook, and cranny is dirt free. Never was an old toothbrush more handy than when I brought home those grungy lacy beautiful hand-painted milk glass plates. I washed them first wish a dishrag, then a sponge, but all of the delicate grooves weren't being cleaned and that's where the toothbrush came into its own. An old toothbrush cleaned all the crevices and edges in the dishes and made them sparkle. Having an old toothbrush around to clean grot off of old dishes works for me. 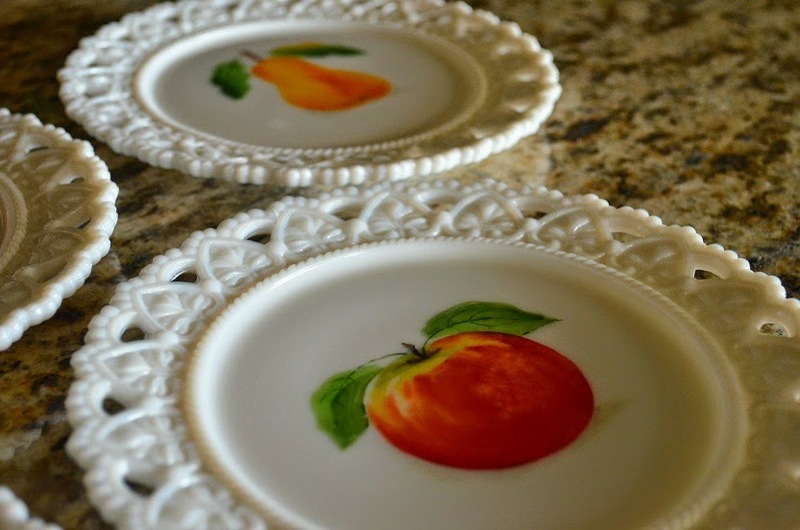 The plates are pretty and a great find!